I’m never too busy to talk to you, but you must be still to hear My whisper. Turn away from the chatter that drowns out My voice, and you will begin to hear Me in your spirit. I am the voice of heaven, and I am always speaking to you in creative ways. If you look up, you will hear Me speak of the heavens’ majesties; if you look at the eyes of the hurting, you will hear Me speak compassion; if you count your blessings, you will hear Me reminding you that I am always here for you. Oh, the riches I long to bestow on you today, if only you come before Me, quiet in mind and spirit! In our silence, we will hear God whisper wisdom and the way forward. The term “Maundy” comes from the Latin verb “mandatum” which means to give, to order or command. After Jesus and the disciples finished the Last Supper, Jesus gave the disciples a new commandment—“I give you a new commandment, that you love one another. Just as I have loved you, you also should love one another” (John 13:34). Maundy Thursday is a public holiday in Colombia, Costa Rica, Denmark, Iceland, Mexico, Norway, Paraguay, the Philippines, Spain, and Venezuela,and in Kerala State of India. Certain German states declare a public holiday for public sector employees. In the UK, civil servants were traditionally granted a half-day holiday (known as "privilege leave") on this date, but that was abolished after 2012. 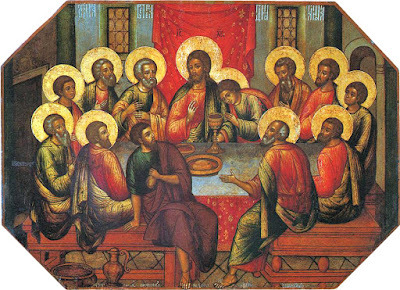 The tradition of visiting seven churches on Holy Thursday is an ancient practice, probably originating in Rome and occurs among the faithful in countries around the world. Today the church remembers Óscar Romero, Archbishop of San Salvador, 1980, and the Martyrs of El Salvador. Born in 1917 in San Salvador, Romero grew up in a nation in which 40 percent of the land was owned by just thirteen families. As a child, he spent much of his time in the church, and when he completed the three grades offered by his local school, it was the church which tutored him. In 1942, he was ordained priest. He was ordained bishop in 1970 and became Archbishop of San Salvador in 1977. Just after his appointment as archbishop, one of Romero's close friends was assassinated for his political activities. Rutillo Grande had been a progressive Jesuit priest who was outspoken against injustice. Later, Romero would say, "When I looked at Rutilio lying there dead I thought, " If they have killed him for doing what he did, then I too have to walk the same path.' " This murder seems to have radicalized Romero. In 1980, Romero was shot to death while celebrating Mass in a small hospital chapel. The day before, he had preached a sermon in which he demanded that Salvadoran soldiers stop participating in oppressive activities, based on Christian values. Romero's funeral itself became a demonstration" a chance to speak out for justice" and some 250,000 people came. It was later called the largest demonstration in Salvadoran history. Fill us with courage, inspired by the witness of Óscar Romero, that we might take up our cross and follow Christ's way and build up your kingdom; through the same Jesus Christ our Savior. Amen. 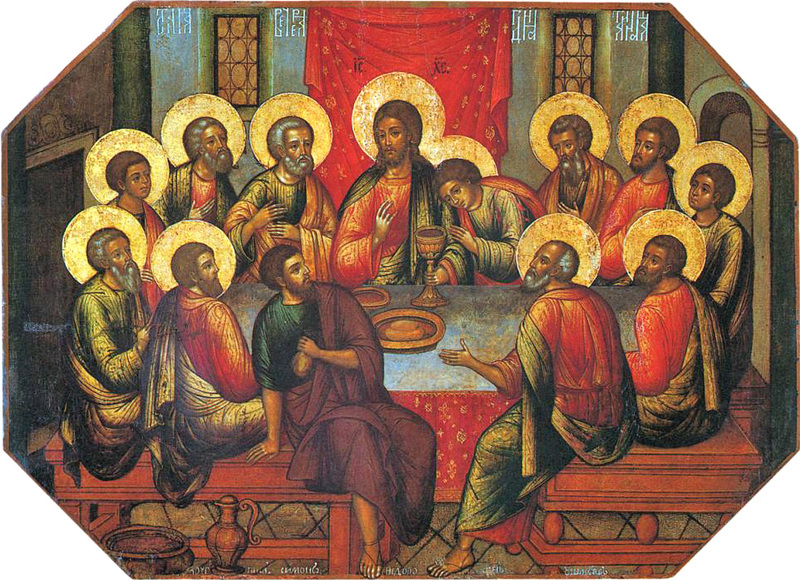 On this night, it is traditional to celebrate the first Eucharist Jesus shared with his disciples in the upper room. It is, of course, also traditional to celebrate the new commandment, when Jesus said, “I give you a new commandment, that you love one another. Just as I have loved you, you also should love one another.” That new commandment is enacted in the washing of feet, a gesture that was as tender and intimate then as it is today. Peter didn’t want any part of this, and plenty of modern folk don’t want any part of it either. Washing feet is awkward. Having one’s feet washed is awkward. But that’s how it is with caring for one another. We do it regardless of our feelings, because it is right and we are commanded so to do. Some churches wash hands instead of feet, which lacks the intimacy and awkwardness to be a fit symbol. We are commanded to do this thing that we don’t want to do. Our very resistance is exactly why we should be vulnerable and love others and accept their love.